Coconut, Pineapple and Ginger Bubble Tea, It's touch of Sunshine in the cup surely brings the tropical weather to your taste buds. 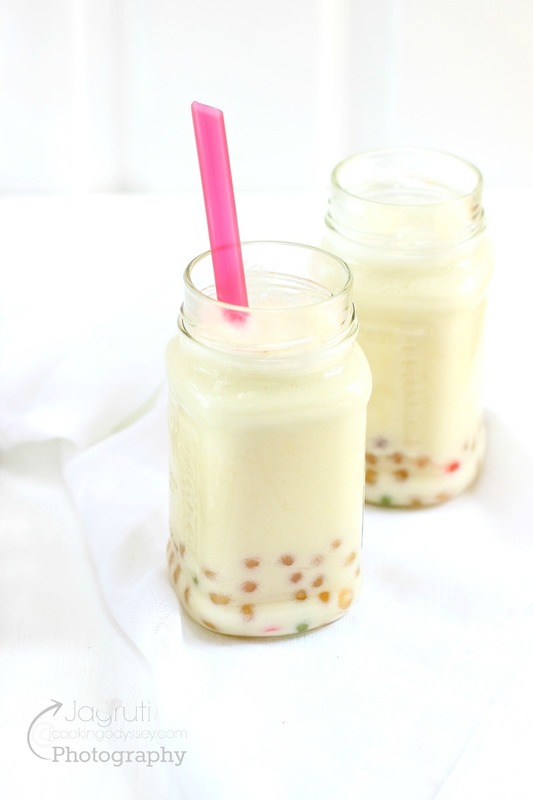 Ice cold and sweet, with little bit of zing and refreshing beverage with chewy boba tapioca pearls can become addictive because you will find happiness in a glass ! Bubble Tea, is really sweeping the nation ! 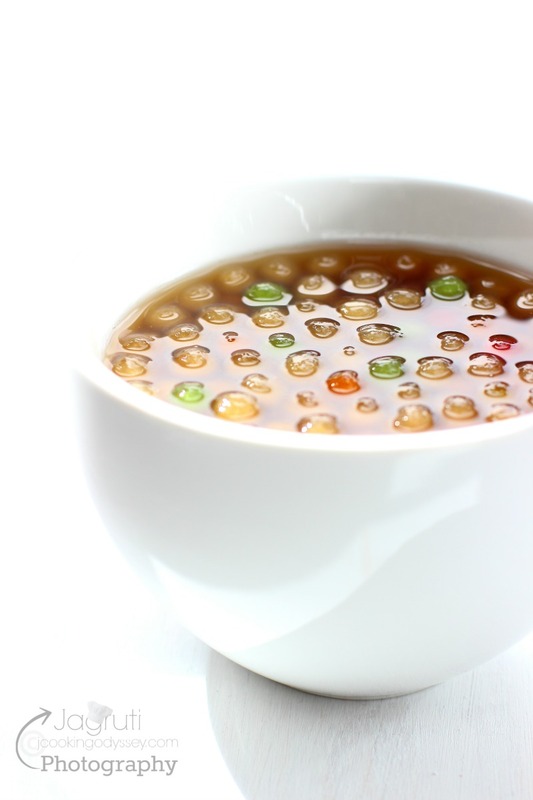 Cold and fruity tea floating with slimy tapioca pearls, which is available in array of bright colours and flavours that looks so attractive , I have noticed people stand in a queue for almost half an hour for it, Crazy right ? I have been there :) When I tried first time almost four years ago, felt little weird as so many flavours and texture hitting my taste buds but surprisingly I wanted to have another glass, it was refreshing , delicious and yummy! Bubble or Boba tea is made with refreshing flavoured fruit teas and milk teas or fruit smoothies served mostly ice cold with tapioca pearls ( aka Boba balls or Pearls ) that is sucked up through special fat straw. Bubble tea, can be consumed as a snack as well as drink too. Bubble tea can be enjoyed with unique flavours and endless combinations and surely it can be prepared at home easily with little time and right ingredients and of course it will be inexpensive. In no time turn your kitchen and living room into bubble tea shop !! The one combination always I wanted to try, it was Coconut, Pineapple and Ginger ! World's most popular combination Pineapple and Coconut, but I wanted it with Ginger, I wanted a Desi touch in it, after all I am very fond of my Adrak Wali Chai ( Ginger Tea ) ! Superb combination and Super Choice, a glass with full of delight makes you ready for the beach, creaminess of the coconut, sweet and tanginess of the pineapple and very little zing from Ginger, definitely a thirst quencher and moreish , however bubble tea isn't very nutritious so enjoy once in a while . 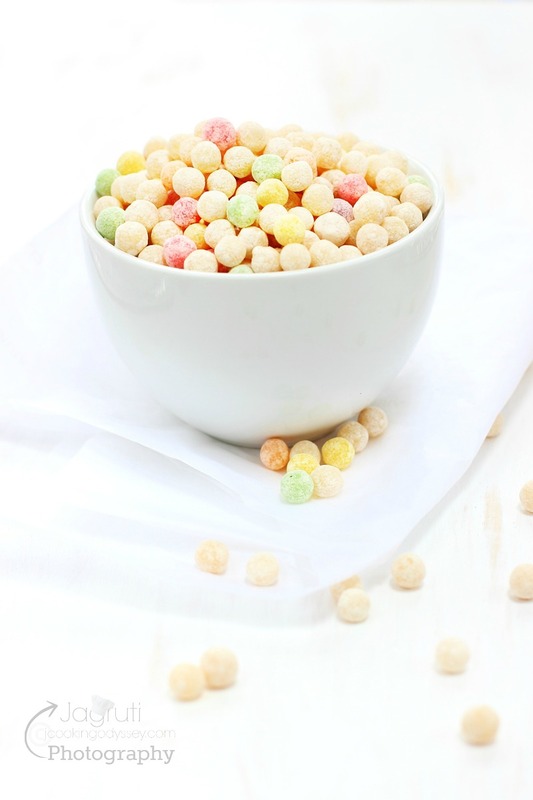 If you can not get hold of Boba Pearls, use large Tapioca Pearls ( Sabudana ) . 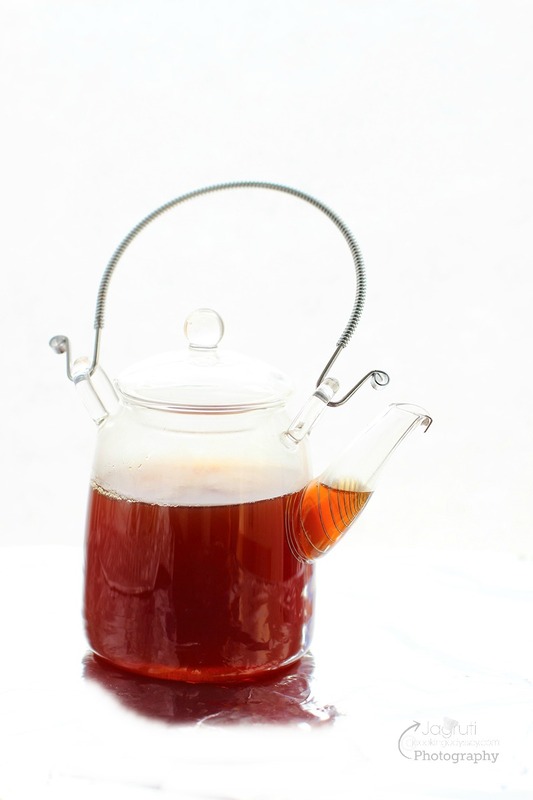 If you want to give this tea to very young children, but without caffeine, omit black tea . Bubble tea originally made with black tea, however green tea, thai tea, herbal tea or even coffee can be used to make bubble tea. Coconut, Pineapple and Ginger Bubble Tea, It's touch of Sunshine in the cup surely brings the tropical weather to your taste buds. 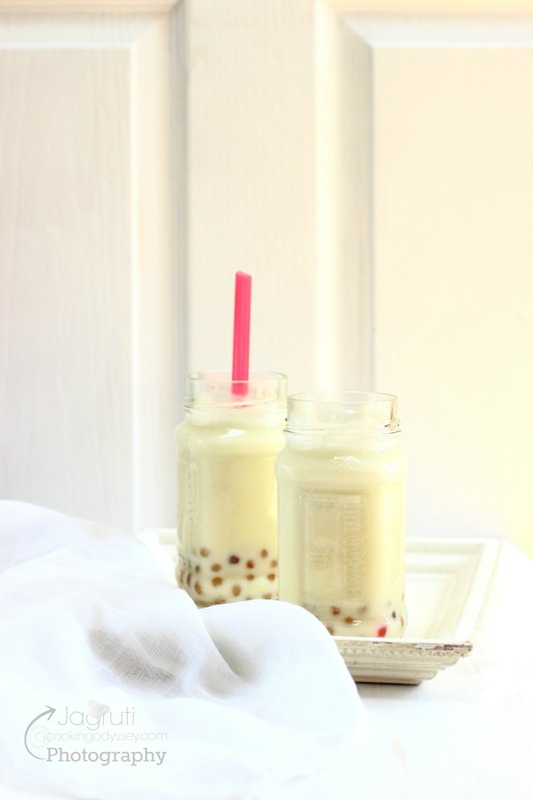 Ice cold sweet, with little bit of zing and refreshing beverage with chewy bobba tapioca pearls can become addictive because you will find happiness in a glass ! To make sugar syrup place both sugar and 2 cup water in a sauce pan, simmer the mixture for 8-10 minutes and leave it aside. To prepare boba pearls boil 7 cups of water in a big sauce pan, add one cup dry boba pearls and cook for five minutes.Cover and let it sit for 5 minutes. The pearls are done when they sit at the bottom of the pan, drain them and rinse with cold water. Add cooked pearls into sugar syrup and let it marinate for half an hour. In another pan add 1/2 cup of water, add grated ginger and black tea bags. Let it boil the mixture for 2-3 minutes and let it sit for another 3-4 minutes.Strain the tea through fine tea strainer and add 5-6 ice cubes and leave it aside. Once you are ready to serve bubble tea, combine pineapple and coconut milk in a blender and blend until you get frothy and smooth liquid. 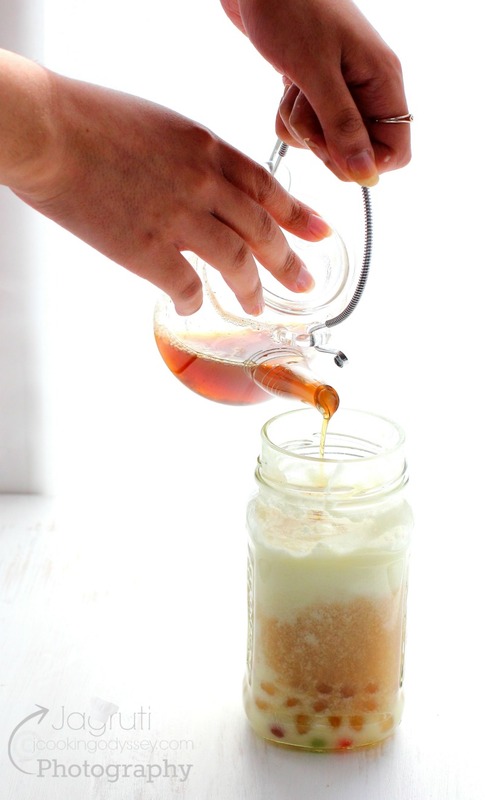 Put 4-5 tablespoon of boba pearls with sugar syrup in a glass, add couple of tablespoon sugar syrup as well. Pour frothy and smooth pineapple and coconut liquid. Now add iced ginger tea and mix well. Serve immediately with extra large straw. I can't wait to show this recipe with my friend. 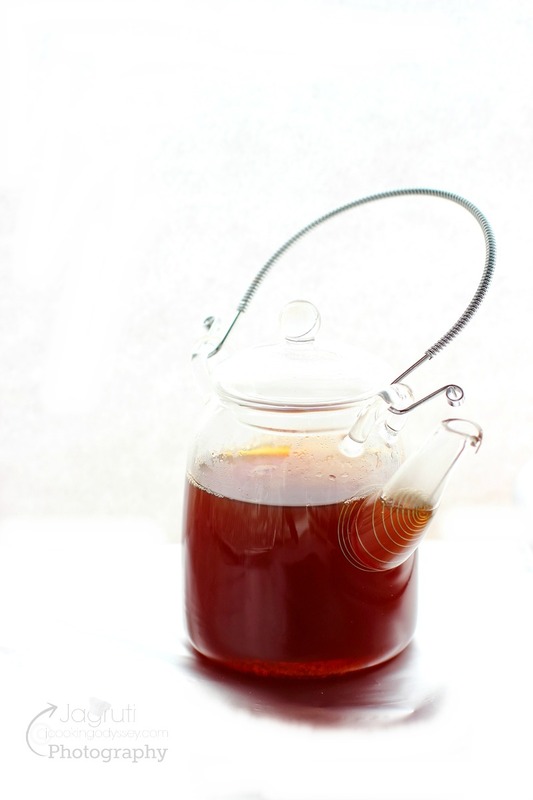 She always buys this at a local coffee shop and making it at home will saver her oodles of money! Great recipe. Pinning. I have never had bubble tea, but I definitely want to try it now! 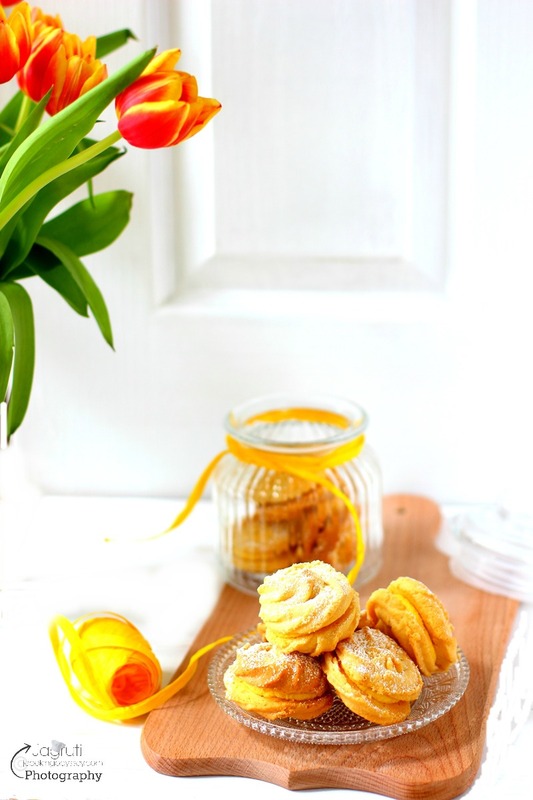 Your Coconut Pineapple and Ginger variety looks so good! I love these flavours together - what a great combination! I've never had bubble tea but you've made it look so intriguing. I've never heard of bubble tea before but how fun! I'd love to try this...it sounds delicious! Never heard about this bubble tea and not even tasted..this bubble tea has a great tropical combination of flavors, which I love it most. Sounds so cool & interesting tea !! Coconut pineapple ginger sounds great. Never tasted bubble tea. But this looks so inviting. Worth trying recipe. I had tried making bubbles tea ages ago but since the girls did not like it did not post. Must try yet again since I am loving the combo here. Never heard of this drink its so new to me , sounds interesting must try soon. Interesting recipe.. never tasted this anytime. Would love to try it out. The flavour combination of coconut, ginge, and pineapple is intriguing. Bubble tea is getting their fame recently in our area, now am tempted to make them at home. And the flavors went in this bubble tea looks astonishing. What a fabulous drink. Bubble tea looks good, do want to try it sometime, may be with sago pearls! Bubble tea sounds very inviting and of course must be something interesting too. Is tapioca boba can be replaced with tapioca pearl in this recipe? Though I have seen this tea, have never myself experienced it yet. The flavour combination is lovely. I am not a big Sabudana fan, khichdi to some extent yes but not kheer etc so I am not sure how I would like this but I would certainly give this a try just for the experience and the description and images has really got me curious about the taste. Love the bubble tea! I used to drink this tea after my yoga class. Now both stopped for a while. I am saving this recipe for later! Wow. Awesome clicks.. One of my favourite tea ! Loved the flavours.. yum !